We’ve already gathered the best Magento 2 search extensions here: Magento 2 Extensions for Improved Catalog Search. 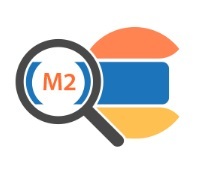 Also, check their comparison: Magento 2 Search Extensions Comparison. 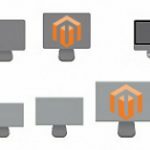 If you are wondering which Magento 2 search engines are the best, check this post: Magento 2 Catalog Search Engines. 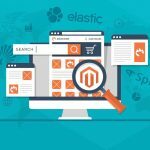 Now, when you know where to find more information about advanced search functionality for your Magento 2-based ecommerce website, we can introduce you to the MageDelight ElasticSearch Magento 2 module. Although this tool isn’t available in the mentioned above blog posts, it still deserves your attention. Below, we shed light on its core features and backend/frontend functionality. The first feature we’d like to describe is the full mobile support. It is crucial for ecommerce sites since nowadays more and more people are using smartphones for online shopping. Therefore, every store feature should be mobile ready to provide the same top-notch experience on all screen sizes. The MageDelight ElasticSearch Magento 2 extension was designed with this trend in mind. The module is optimized even for the smallest smartphone screens, so everyone will easily find the desired products in a matter of just a few clicks. Also, note that there are three tabs that substantially improve the default mobile search: Suggestions, Products, and Other. Another vital feature that the MageDelight Magento 2 ElasticSearch module provides is related to a search results page. It resembles a category page due to the availability of layered navigation filters. You can form a search query, get a page with lots of results, and narrow down the selection by applying such filters as Color or Manufacturer. It provides an alternative way to the search autocomplete functionality that allows discovering the desired products on every page without reloads. As for category and CMS search, it is available in the MageDelight ElasticSearch Magento 2 Extension as well. It is especially useful if you have lots of categories or CMS pages. Note that not everyone is searching for products. Sometimes the necessary CMS page can be hidden behind endless menus, so the easiest way to discover it is related to search. Our Magento 2 backend tutorial contains only the configuration section exploration. The section is available under Stores -> Settings -> Configuration -> Mage Delight -> Elasticsearch. All settings are divided into 6 sections: License Configuration, General Settings, Auto-Complete Settings, Product Settings, Category Settings, and Cms Page Settings. The first section contains just two fields: Serial Key and Activation Key. You get them after purchasing the MageDelight ElasticSearch Magento 2 module. Now, let’s see how to establish the connection between your store and the Elasticsearch server. First of all, select website domains where you will use ElasticSearch. Then, enable the extension: “Elastic Search Enabled” must be set to “Enable”. Note that this will turn off the default Fulltext search. Next, enter host parameters in the “Host” field. To check whether the host is correct, hit the “Test Connection” button. If everything is ok, you will see the following message: “Successful! Test again?”. Besides, the section allows specifying a URL key for a search results page (we’ve just mentioned that this page supports layered navigation! ), as well as a prefix for the Elasticsearch index. Here, you also choose one of the available options for Wildcard search and select a search operator (“AND” or “OR”). In Auto-Complete Settings, specify a minimum number of characters to launch the autocomplete popup. Usually, it is 3 characters, but you can set any amount in “Auto-complete Limit”. In “No Result Template”, create a message that will be displayed if no results are found. The last option in the section allows switching between normal and mega views. In Product Settings, enable products display in autosuggest section: set “Display products in Auto Suggest” to “Yes”. It is also possible to set the maximum amount of products for the auto suggest window. By default, it is 10. We don’t recommend to set a higher amount, because the search will become less comfortable. Next, select attributes for reindex. Note that you can add new attributes, as well as hide ones that were previously selected. Then, perform the same procedure with searchable attributes. The last option here allows enabling/disabling the approximate search. If you need the feature, set “Allow Fallback Search” to “Yes”. Don’t forget to click the “Re-index Product” button – you will provide the Easticsearch server with the new parameters. As for the Category Settings, you can enable/disable category display in the Auto Suggest drop-down: set “Display categories in Auto Suggest” to “Yes”. Next, create a limit on the number of categories displayed there – type the appropriate value in the “Category Search Result Limit” field. The same parameters can be configured in the CMS Page Settings. That’s all: now your MageDelight ElasticSearch Magento 2 extension is fully configured. Let’s take a look at the frontend appearance of the module. In our example, it is divided into two sections: Suggestions and Products. The products section displays product thumbnails, titles, short descriptions, and prices. Unfortunately, no “Add to Cart” buttons are available in the window. Note that the number of items related to each filter parameter is displayed in front of it. The feature is very useful since it allows not only to narrow down the selection of products but also to do this most efficiently (you always know the number of items that is left after the filter parameter is applied).